Korean government invites 880 international students from 164 countries who wish to pursue MA or PHD in Korea. To be selected as a KGSP grantee, any applicant should successfully pass through the 1st selection process set by the Korean embassies of his or her origin or KGSP universities in Korea. allotted to 12 Korean embassies, and are separate from general candidate quotas. *The basis for quota allocation lies in the mutual agreement between Korea and countries listed above. * Among the 347 candidates allocated to the Designated Korean Universities, 6 will be allotted into two outstanding specialized universities separately. – Applicants (including Korean adoptees) who apply for this program via Korean Embassies must choose 3 desired universities out of the 60 universities listed below. – Applicants who apply for this program via the designated universities may choose only 1 desired university out of the 60 universities listed below. (www.studyinkorea.go.kr). Applicants must choose their desired fields of study from the listed programs in the University Information section provided by participating universities. * Night schools, seasonal programs, broadcasting schools, and cyber-schools (including online distant learning programs) are not eligible for application. Korean adoptees have to apply only via an embassy if their countries are allotted the adoptee quotas. by the institution he or she is applying through (a Korean embassy, or a designated university). Committee. Finally, applicants who passed the second round must gain admission from a university. o Institutions accepting applications: 117 overseas Korean embassies or 60 designated Korean universities. * Applicants who submit applications to more than one of the aforementioned institutions will be disqualified immediately. – 1st Selection: Each 1st selection institution will draft a selections standard based on the criteria provisioned by NIIED, and recommend the best applicants according to its respective standards. – 2nd Selection: The NIIED Selection Committee will select the most successful candidates from the pool of applicants recommended by the 1st selection institutions. 2nd selection successfully will be evaluated for admission by the 3 universities to which they applied; each candidate has to gain admission from at least one university. join the ranks of the final successful candidates. * (Important) After the Korean language course, the scholarship period of degree course (2 years of master’s or 3 years of doctoral) cannot be extended beyond the designated duration. 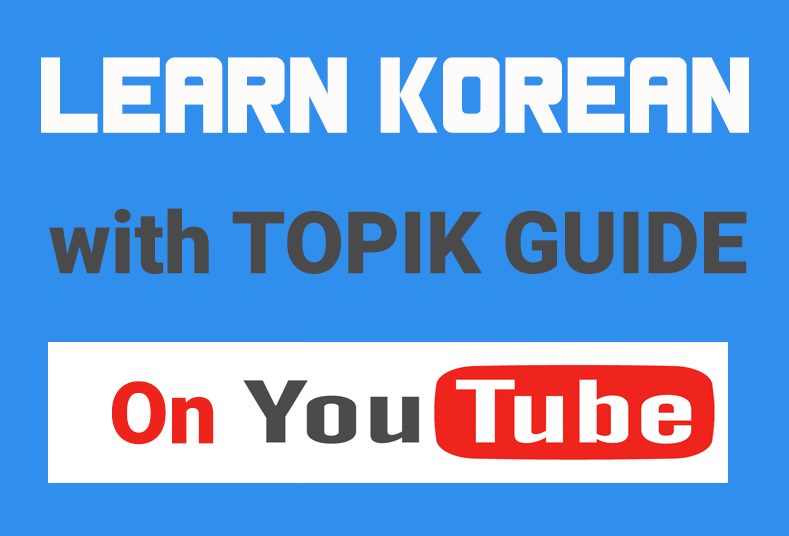 * In the case that a scholar possesses a TOPIK Level that is higher than 5, he or she is exempted from the Korean language course; the exempted period will be deducted from the total scholarship period (2 years for master’s or 3 years for doctoral). * In the case that a scholar possesses a TOPIK Level 5 or 6, he or she must be exempted from the Korean language course and must start his/her academic course of Master or Doctoral degree; the exempted period will be deducted from the total scholarship period (2 years for master’s or 3 years for doctoral). language institution by NIIED. Once scholars are designated at the institution, it cannot be changed. o During Korean language learning, scholars are supposed to stay at the dorm of language institution with a roommate, thus cannot bring their family. * Scholars who have surpassed TOPIK Level 5 or 6 must start their degree course without the Korean language course should obtain permission from NIIED in advance. * Scholars who are exempted from taking the Korean language course must take their degree course starting from September 1st, 2014.
after one year of Korean language course are permitted to start their master’s or doctoral program. an additional six-month coursework in the Korean language. o Language Institution : NIIED has designated about 12 language institutions for the Korean language course. * The main language institution placement principle is different area from the finally chosen university of scholars in order to provide a chance of exploring variable Korean cultures and immerge on Korean language learning with professional environments for scholars. * Applicants must submit the Personal Medical Assessment (included in the application form) when he/she apply for this program, and when it’s orientation, an Official Medical Examination will be done by NIIED. A serious illness (For example, HIV, Drug, etc) will be the main cause of disqualification from the scholarship. * (Important) Applicants who have ever enrolled in a university in Korea will be disqualified from applying to the KGSP program. Specifically, an applicant who has previously enrolled in an undergraduate program, a master’s program, a doctoral program including an exchange program (D-2 visa holders ever) in Korea cannot apply for this program. * Applicants who apply for the Doctoral program must hold a Master’s degree or a diploma that is equivalent to or higher than a Master’s degree. * If an applicant does not satisfy the above GPA criteria, he/she will be disqualified from applying to this program. * If the transcript is not indicated in grades/marks/scores format, or is difficult to convert into percentages, attachment of official explanation from the attended institution is required. o Applicants who have Korean proficiency or English proficiency may be given preference. o Applicants who apply for natural science and technology program may be given preference. o Applicants who are university professors currently in the developing countries may be given preference. o Scholarship Period : same as the period of invitation. -Airfare: Round-trip economy class ticket. * Airfare for entry will not be provided to scholars who already currently live in Korea for academic study or employment. * The fees for domestic travel within a scholar’s home country and for travel insurance to and from Korea will not be provided. * Scholars from China and the Czech Republic will not be provided airfare by NIIED, but by their country of origin according to the mutual agreements. -Monthly Allowance : 900,000 won (KRW) per month. -Research Allowance : 210,000 won for scholars in the humanities and social sciences; 240,000 won for scholars in natural and mechanic sciences, per semester. -Tuitions : All admission fees are waived by the host institution (university). The tuition is paid by NIIED. -Dissertation Printing Costs : 500,000 ~ 800,000 won, depending on the actual costs. -Medical Insurance : 20,000 won per month will be provided (limited coverage). – NIIED does not compensate fees for the domestic travel, moving expenses, deposit, etc. both in the grantee’s country and Korea. – NIIED does not compensate fees for insurance for traveling to and from Korea. – The medical fee is to be reimbursed through the insurance company to the scholar after s/he pays first. However, the expense for dental clinic or chronic disease will not be covered. – Any scholar that quits the program within 3 months after s/he entering Korea, must refund all scholarship fees. (The airfare of arriving Korea, settlement allowance, monthly stipend, Korean language training expenses, etc.). o The guideline, application form, and university information will be available at the website of GKS (www.studyinkorea.go.kr), Korean Embassies, and designated domestic universities. applicants and recommend them to NIIED. mutual agreements between Korea and those countries. applicants cannot be accepted through this application category. the pool of candidates recommended by the Embassies. preference, and requests admission examination of the candidates into their master’s or doctoral programs. The universities have to notify the result of examination to the candidates and NIIED by the designated date. within the 3rd Selection period can be accepted as official KGSP scholars. 3 candidates from a single country. KGSP scholars upon a successful comprehensive medical examination. o All documents including transcript, self-introduction, study plan, certificates of language proficiency (Korean and English), recommendations, published papers and awards, etc., will be evaluated. *NIIED and Foreign embassies in Korea are not 1st Selection Institutions and do not accept applications. *Korean Educational Institutes (Korean Education Center or Korean Cultural Center) affiliated with the local Korean embassies may accept applications, and select and recommend candidates in place of embassies in some countries. * Deadline for the recommendation of candidates to NIIED by the 1st Selection Institutions is April 11th, 2014. * If the respective 1st Selection Institutions do not submit their candidates’ documents to NIIED on time, they will be excluded from the examination of NIIED Selection Committee, and their quotas will be substituted by the other 1st Institutions’ reserve candidates. o Required documents : One original document (placed in a separate envelope) and 3 extra copies. authenticated by the issuing institution or notarized by a notary’s office. 16. Certificate of citizenship of applicant and his/her parents: birth certificate,passport, Certificate of nationality expatriation, etc. * Selection for successful candidates will be done strictly by the NIIED Selection Committee. Therefore, appropriate documents should be submitted by the deadline. – Dual applications are not accepted. Applicants must apply for this program via only one institution. – Documents should be presented in their original form. – Submitted documents will not be returned to the applicants. and scholarship revocation even after entry into Korea. – In case of submitting photocopied documents, applicants must submit the original to the 1st Selection Institution and have the original one and the photocopied one collated. The confirmation of collation should be indicated in the photocopied documents. they apply; the official certificate of graduation must be received by NIIED by August 31st, 2014. – Applicants may submit the copies of published papers, if available. – Applicants may submit the copies of awards, if available. * Transferring to a different university after confirming the host university is not permitted in any cases. In regards to changing majors, it would be permitted only under the mutual agreement of the departments concerned only within the same university, with the scholarship period unchanged. (2 years of Master’s, or 3 years of doctoral, in total). However, quitting a program and applying for a new one is not permitted. I tried to click on the links for the additional information but there was an error. could you please send me the list of universities in korea so i can search and apply directly to them? I’m from Oman and my country’s name comes under or allotted to Korean embassy so that means that I apply through the Embassy, hence I have 3 options or 3 universities to choose, right? Yes, You are right. You can choose 3 Universities in order of preference. Good Luck! I would like to start apply for this program, but i cannot find the attachments, i would like to fill ASAP..
All the files are attached. Please check again. Can we apply for this scholarship even if we don’t know Korean? Yes, you can. They will give you Korean language training for one year after you are selected. All the details are given. Please read again carefully. If I`m applying via university I can send documents only to one of them? or I can send documents to a several universities and wait if one of them will choose me? If you are applying via university, you can apply to only one university. Kenya is there in the list.. Please check again.. Thanks for providing this nice and comprehensive website which is full of info about Korean language and Korea scholarship. Sir, I am from Afghanistan and teaching at a local university but I am really interested to do my MA there in Korea. I don’t know whether I accepted or not but want to try once. How can I apply for the program which is easy and doesn’t take time? And can I get my MA in a different major from my BA major. You can apply for a different major. Please contact the university you want to apply to for further details. You can also contact NIIED or local Korean embassy. Does this mean that if the applicant doesn’t have parents is not eligible? It just says that you should not be a Korean citizen. it has nothing to do whether one has parents or not. I would like to apply for PHD program but I don’t know in which rule can I apply. In fact I finished my MA in general didactic in Karalstad University of Sweden (7/1/2014) but I have not received my degree yet. Please help me to improve my knowledge in advance level. You should be completing your degree by August this year to apply. Please contact on the given phone numbers and email. I plan to finish masters program this month and I will get certificate on July or August, can I apply after this month? You can apply. You should be completing your degree by August this year to apply. Please contact on the given phone numbers and email for further details. am asking if there is any alternative to study in english?? Please contact the university you want to apply to. does PHD on line exist? Please contact NIIED or concerned university on the given phone numbers and email. Can I send an application by email and attach the scanned copies of my certificates? I want to study master but I haven;t maney can I try chance? I have degree in international relations. what can I do? I need to apply for 2015-2017 academic year, when will the applications start?